I am a HUGE lover of pizza and buffalo chicken, so naturally buffalo chicken pizza is one of my favorite meals! With football season right around the corner, I have been thinking about how I will get through my Sunday’s guilt free. This pizza took less than 10 minutes to prep and less than 10 minutes to cook! 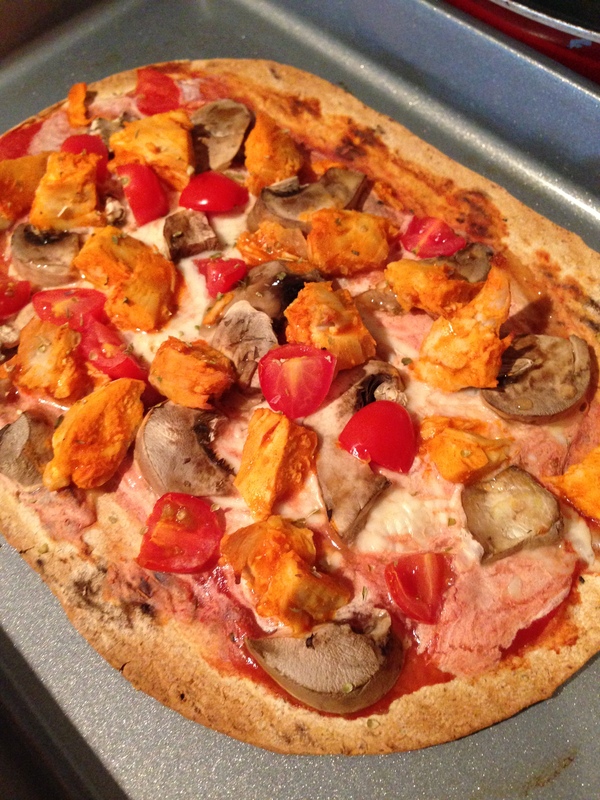 The entire pizza is only 250 calories, 5.5g fat, 18g carbohydrates, and 37g protein! Bake in the oven at 415F for 9 minutes (or desired crispiness) and enjoy! This entry was posted in What's On the Menu and tagged buffalo chicken, healthy, pizza. Bookmark the permalink.